Do you agree with me that most time you don't enjoy reading and so definitely, you try to force yourself just so you don't fail while preparing for jamb or any exam? If so, It is not like any of us like reading those huge textbooks. I only want to read what is fun and Interesting not boring, isn't it? Well, in today's guide, I am going to reveal that secret I discovered sometimes back on how to enjoy reading every single time you read. 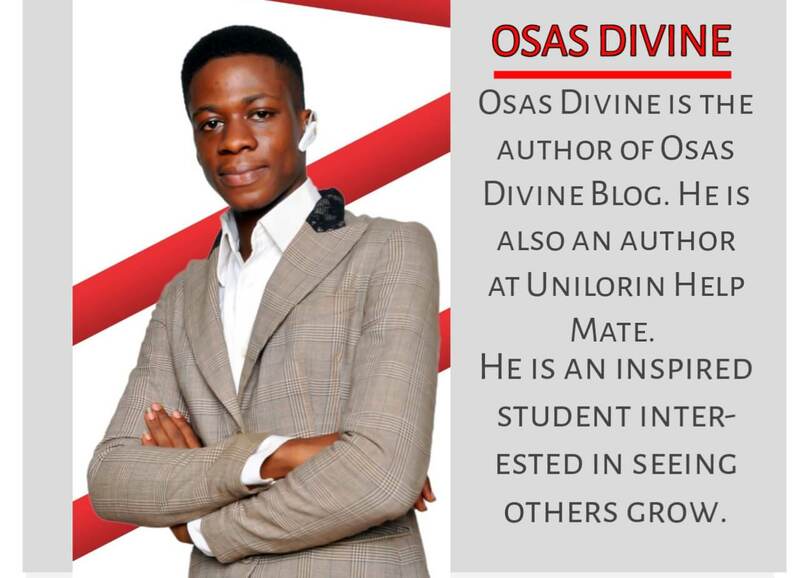 Welcome to the solution center, I am 'Osas Divine' Your Admission Coach. 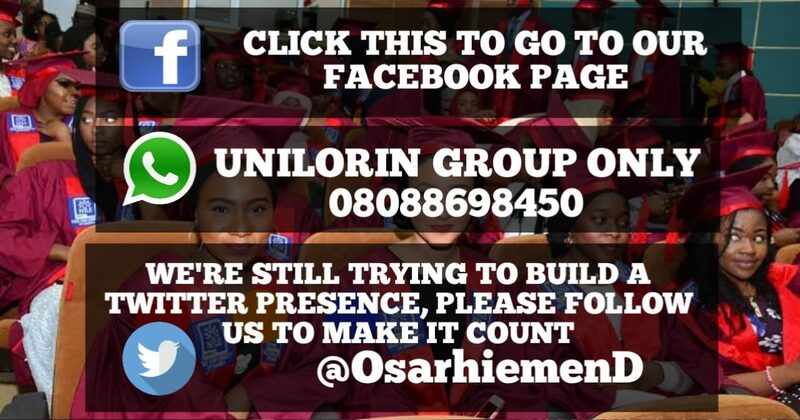 These days, reading has grown into a huge problem and in this case, we are focusing on the Jamb students. They keep telling you that if you want to *Pass Jamb remarkably* then you have to read, read and read.....but the problem Here is, not everyone enjoys reading those huge textbooks. Most especially when you are a science student and you have to cover that textbook or whatever it is, twice. We read our phone in text messages, tweets, and facebook posts. But when we sit down to read textbooks when preparing for Jamb, we find ourselves fading. Studies show that the average student now start to skim what they are reading at 140 characters, they likely lose attention at about 8 seconds. So if you are still reading at this point, you are doing better than most students. I am one of those students who hate reading, but I discovered something that really helped me. Today we are going to solve that reading problem. Guess what! Do you Love fried rice mixed with Chicken served with a chilled coke? What's your favorite food you always eat without getting tired? Well just think about the fantasies of that food, that's how you will start enjoying your textbook after now. Ways to enjoy reading while getting preparing for Jamb/waec. Think about it, if you have to read a textbook without pictures then you are in real trouble. While students are preparing for Jamb, apart from the distractions from the environment, seeing how voluminous and plain text with no pictures a textbook is; it really discourages students from reading. But I have a good news, reading is going to your favorite hubby from today. You have to love reading unless you are not ready for Jamb. Let me show you how to enjoy reading. 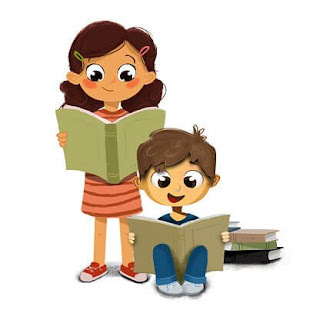 Solutions to enjoy reading for students who are writing Jamb or any exam. START READING FROM THE END OF THE BOOK. But I can bet my life on this, if you don't enjoy it while reading serially, start from the end. You will really find it interesting. You can come back and thank me later. It sounds stupid, but it is something I have tried, taught many, and it worked. I know when you read from the beginning you will likely understand better. But when you keep using one method and it is not working, the best thing to do is try a different method. Start reading from the back and just forget whether it makes sense or not. Once you do that from the end to the beginning. Then start again from the beginning. You will start enjoying that book. But when you start reading from the beginning, do not use the old method. Use the method I am going to teach you next. Reading a full textbook is not funny; that's right, it's really weird. So when I was preparing for Jamb years back, I always get bored making me really hate exams. But, soon enough I started experimenting with different techniques and lucky for me I discovered something that works. It's called the S.R.S.R Technique. R = Relect on every details you get while scanning. S = Solve questions on each chapter After scanning. R = Re-Read chapter by chapter. I am not bragging about this, no way! It's something I know works. S.R.S.R technique is the best method students can use while reading a textbook. If you try this you're going to see results. Reading a book from Beginning to End without using S.R.S.R technique, is like reading a novel, just for fun or to while away time. How to use S.R.S.R technique during your study while preparing for Jamb. Step 1 - Go to the first chapter and just browse through it without wasting much time. Step 2. While your scan through the book, be reflecting on it. To do this correctly; frame a picture of what you are reading in your mind. Just make sure you are reflecting round that topic or chapter. Step 3 - After scanning through, look for questions on that particular topic or chapter either online, Past questions (P.Q) or the textbook itself. You don't have to be correct while working through the Questions, just get an idea of it. Step 4 - Start reading that Chapter from the beginning. After using this S.R.S.R technique, you will not only enjoy it but you will understand it. That now leads me to the next item on the list. When you read in your mind, if it's not your thing, you will most likely get bored. Reading aloud keeps your brain working alongside with your emotions. So from today if you don't enjoy while reading read it aloud. But make sure it aligns with your emotions. Emotions are quite important when you study. Research shows that when you study when you are not in a good mood. You will indisputably find it useless or boring. Don't read when you are sad or worried. Solve your problem and then come back to read. UNDERLINE, CIRCLE OR JOT DOWN KEYWORDS. When you are reading a textbook, underline, circle or jot down the main keywords and points in each paragraph and subsections. This context below is your Textbook. Reading is sweet if you do it rightly you will understand it. Reading helps keep your brain alive. After reading this post on how to enjoy reading, please don't forget to comment and come back to read more. Benefits of enjoying reading . 1. It makes you understand . 2. It keeps you reading more. 3. It will make you pass Jamb. The most effective method to enjoy reading is start from the back and use the S.R.S.R technique. 2. What is the most effective method to enjoy reading? The above Is just an assumption and example of how to mark up, highlight or underline key points in a reading context. So that when you come back, you will find it easy to understand. In my case, the lines I highlighted in blue are my key points. You can use any method to highlight the points while you read. If you are using just one or two positions during the study. You will easily get tired and lose interest. Change positions, try sitting, try posing, try bending down. Whatever positions just be moving but not in a way to get you distracted. Staying in one place without moving is going to result in loss of appetite for study. To be candid with you. I used to enjoy reading in the loo (toilet) years back when I was 18. Not that I will go and sit in the loo and start reading. When I am going to the loo. I will go with my book, while I am pressing I will be reading. No law states that you should only read in your room or class. While preparing for Jamb, you have to prepare vigorously. Read In any cool place you feel is okay. However, you will Not likely enjoy reading in a noisy environment. So read in the right environment. No one is chasing you, rushing a textbook or reading without breaks just so you can cover the book is going to affect you. Read in intervals at least 30-45 minutes per session then take breaks. If a book is too big then you may get discouraged to read it. Best way to this is, break the book into your own sections at least 10. And appoint dates for each section. You can appoint a week for each section. If you finish the section before the weekends, relax don't jump to the next section. Wait till the time for the next section. If you don't finish it before the next section move on to the next section. When you finish the whole sections then re-read where you missed. It is not a must to read a textbook in an orderly manner. Read only the books you need while preparing for Jamb. My happiness right now is, after using this 100% assured tips you will start enjoying your reading in light of your Jamb preparation. But the main reason I am happier is, you found us. Stay tuned and subscribe, most importantly comment below for more. If you enjoyed this Post, don't you think your friends need to see this? Click to tweet this post.